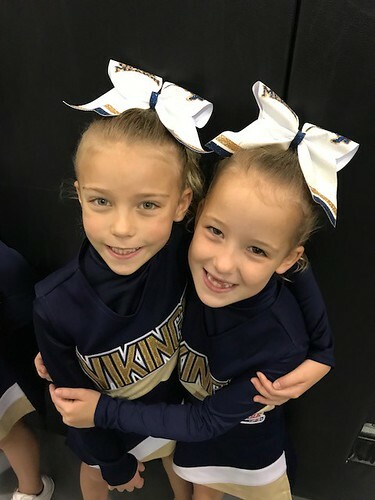 The Cheer Program offers teams a wide range of opportunity for young athletes at all skill levels: Novice, Intermediate and Advanced. Teams participate on the sidelines at football games for home and most away games. 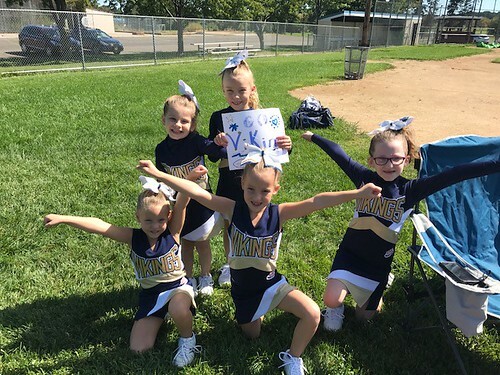 In addition to Game Day, teams participate in qualifying spirit events (League and Region) through to a Pop Warner National Championship. *A cheerleader cannot be over 14 years old as of July 31st. A cheerleader must be 5 years old by July 31st. 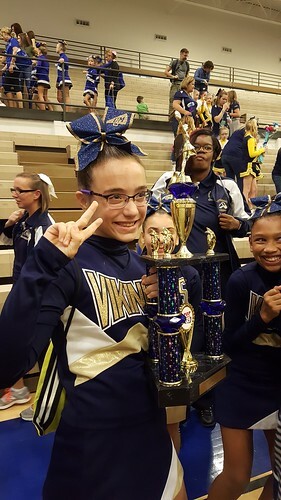 · A cheerleader tells Coaches that she does not want to cheer. 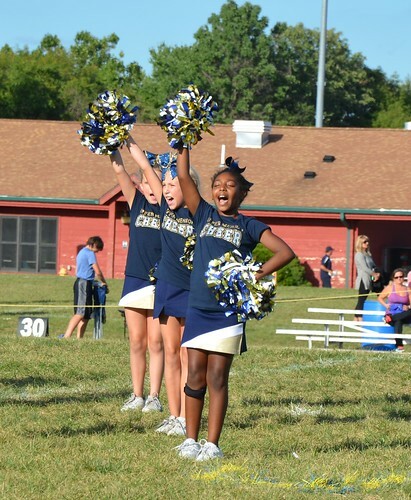 · A cheerleader attempts to intimidate fellow participants at practice by word and/or physical deed. 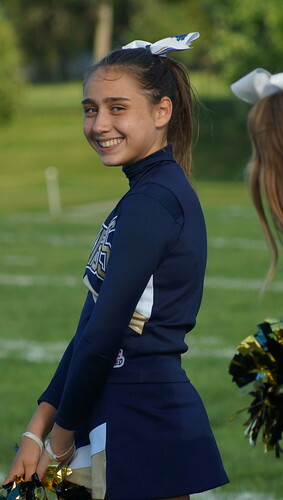 · A cheerleader is an extreme discipline problem. 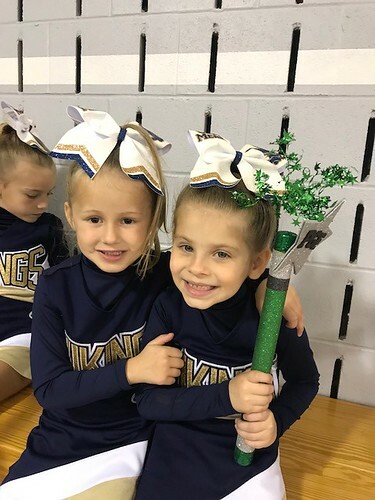 · *See unexcused absences in your cheerleading packet. You will not know what team your daughter will be on for the first week or two of practice. Placements will be determined by the Cheer Director, Assistant Director and Coaching staff. If you have any questions or concerns, please use the chain of command. 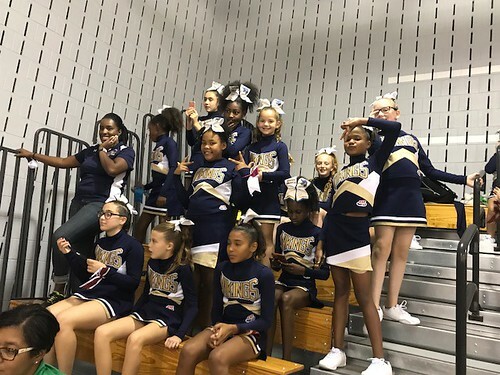 · All Cheerleaders ages 9 and up are eligible to attend Pine Forest this year. · We are recommending that all cheerleaders 9 and up attend this amazing sleep over camp in the Poconos. · Coaches will be attending with the Cheerleaders, parents will not be in attendance. · Fundraising will offset the cost. 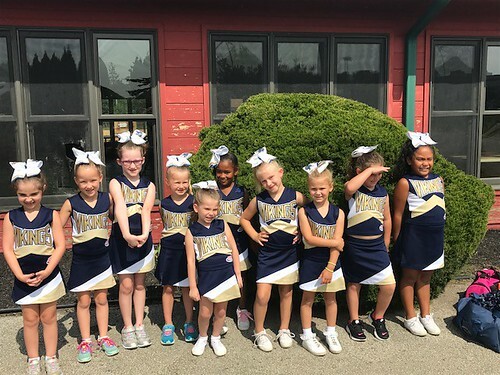 $270 per cheerleader, plus cost of practice uniform fees. · More information will follow. · Once school begins, practices will drop for comp squads to 3 nights a week and non-comp squads to 2 nights a week. · PRACTICE ATTIRE IS NECESSARY, Please follow the rules below or your cheerleader will be sitting to watch the practice/game. o Athletic sneakers MUST be worn to all practices. Sneakers MUST be tied. Without the correct sneakers; your child will NOT be allowed to practice. NO elevated sneakers, or slip on shoes are permitted. o No loose shirts or sweatshirts. o NO spaghetti strap, belly shirts, ‘short' shorts, jeans or jean shorts are permitted. o NO jewelry, glitter products, and nail polish are permitted during practices, games or events. o WATER BOTTLES should be brought to practice with WATER or GATORADE. o NO soda or juices (due to bees). o Hair needs to be up and off shoulders. · It is the parent/guardians responsibility to arrange transportation to and from practices in a timely manner. Every effort should be made for cheerleaders to arrive, and be picked up on time. 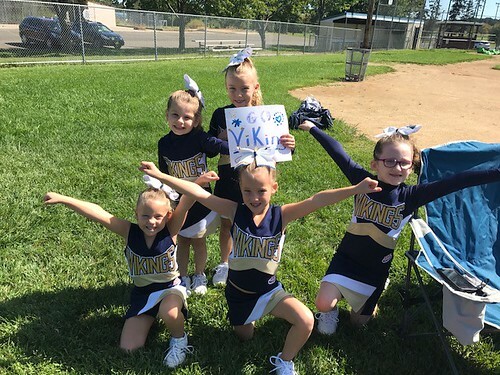 · Cheerleaders arriving late will still be required to do their full warm-up. · Parent/Guardian should arrive for pick-up at least 10-15 minutes prior to the end of practice. · August is a learning month, if you miss any time in August, you will be behind in the cheer routines. It will be your responsibility to learn what you missed on your own time. · DO NOT BRING FRIENDS TO PRACTICE UNLESS THEY ARE PLANNING ON REGISTERING BEFORE THE DEADLINE. 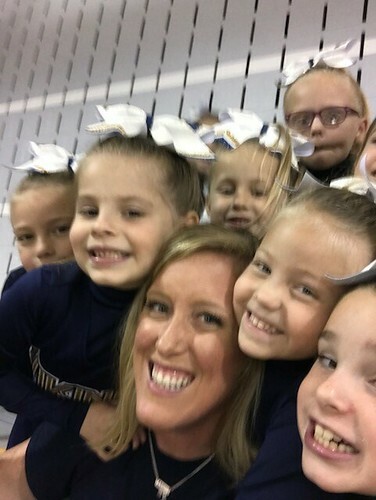 · All cheerleaders will stay with their Coaches or certified Team Mom during practices, games, and game half-times. 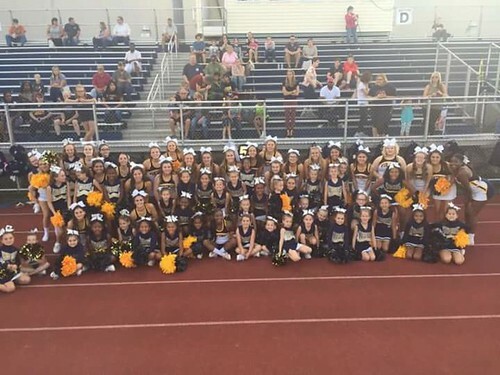 · We understand there are school activities that may conflict with our cheer program. Please make every effort to attend our practices, games and events. 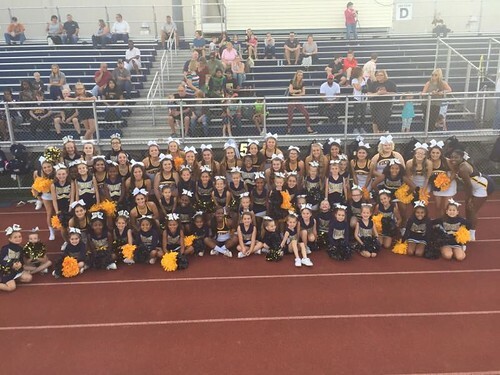 NO other activity should conflict with the UM Youth Cheer Program. If it interferes with a Vikings scheduled practice or game; you will be expected to be present at the Vikings event. It is not fair to the Coaches and other girls who commit their time to this program. 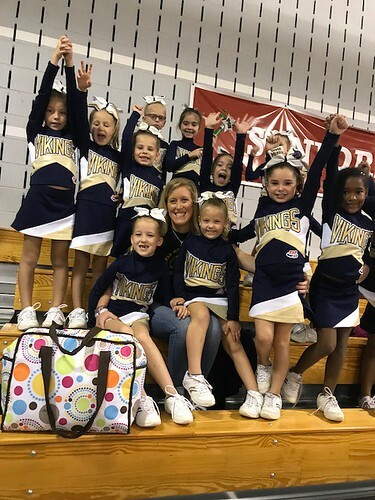 · In the event a cheerleading squad advances to a higher level of competition, they will travel and stay as a team at the entire event, unless pre-approved by the Cheer Coordinator. 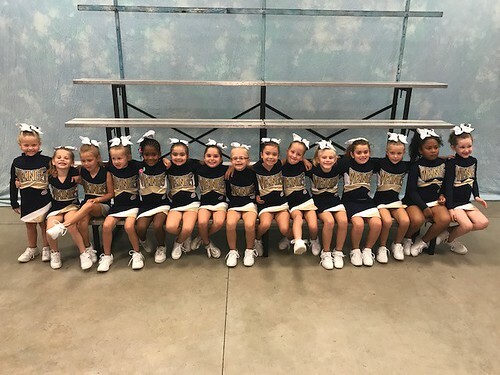 · Every parent must come to their child's practice area to get their child at the end of practice. The children will not be permitted to leave until the coach has acknowledged the parent or the person they've been told will be picking them up. Please inform your coach if someone other than you will be picking your child up from practice. All parents are required to take a turn helping in the concession stand hours during the months of August, September and November; during your child's games, practices, and/or scheduled events. If you are unable to work at your scheduled time; as a courtesy, YOU must find a replacement and notify your team mom. Parents may also be asked to provide a half-time snack for the cheerleaders as well. This is a volunteer run organization and we can’t do it without you! 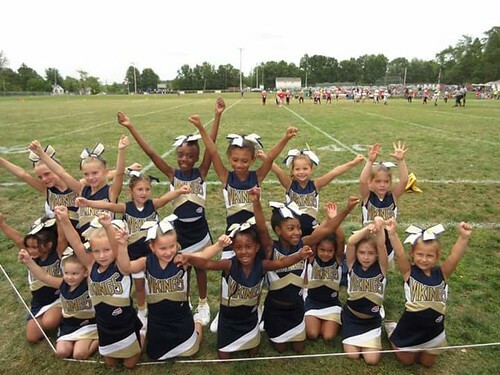 · Cheerleaders should arrive at the games one hour prior to a game and stay until the game is over. · Parents must be present to the game by the end of the 3rd quarter. 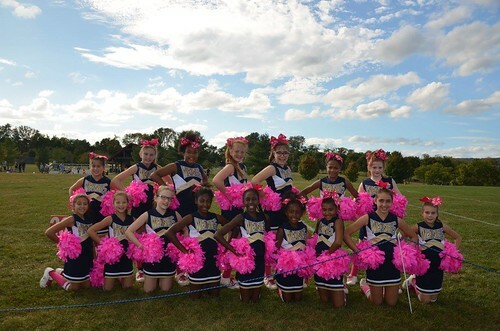 · Cheerleaders cheer rain, snow, and cold weather conditions. If the football players play, cheerleaders cheer. 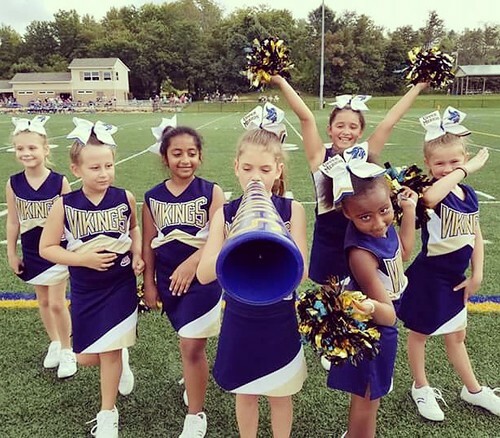 · Cheerleaders should come prepared to the games with complete uniform available. · For inclement weather, sweatpants may be worn along with sweaters, gloves, hats and, if needed, jackets. · No jewelry, glitter, or nail polish. These items are not to be worn during games, competition or Fun Day. · Waters bottles should be brought to the games. Water and Gatorade ONLY! 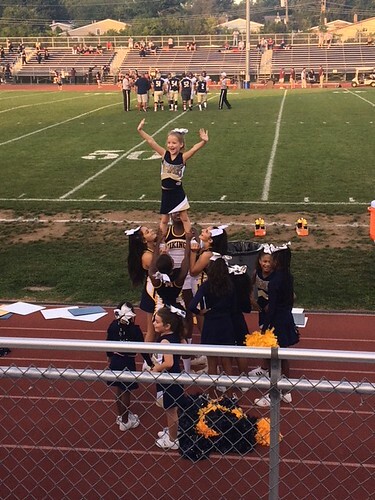 · Cheerleaders are to stay with the team the ENTIRE game. 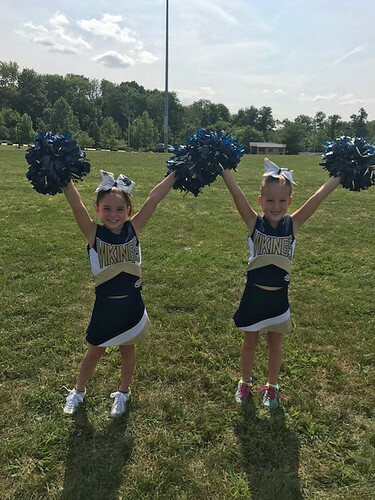 · This season there will be a refundable $100 fee for Uniform pick-up. This fee will be returned at the end of the season when your cheerleaders uniform is returned in the same condition you received it. 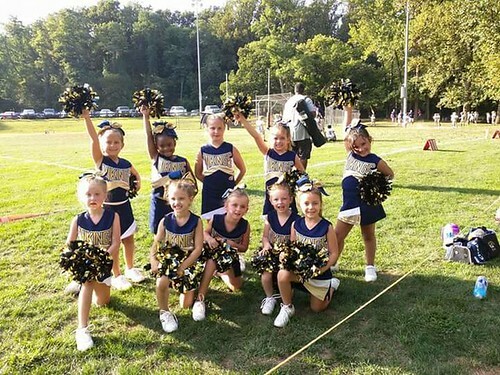 · Uniforms are the Property of the Upper Merion Youth Vikings Organization. If damage occurs, YOU will be responsible for the cost of the damaged piece. If lost, you will be responsible for the entire cost. If the uniform is not returned, you will be billed the replacement cost. · Care instructions sheets will be given when uniforms are distributed and should be followed explicitly. 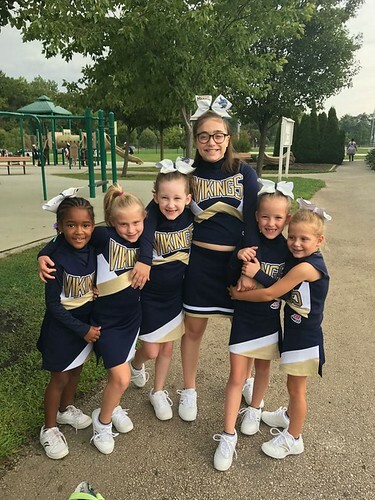 · Uniforms are to be worn ONLY for Official Upper Merion Vikings or Bux-Mont sponsored events (football games, competitions, Fun Day and pictures). Uniforms are NOT to be worn as Halloween costumes. 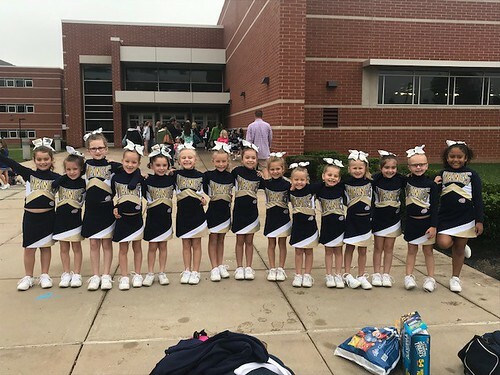 · At the end of the season every cheerleader is responsible for returning their cleaned uniform at their designated time. Cheerleaders are asked to purchase the following items to maintain a uniform look as a squad. This is at the parents/legal guardians' expense, and is IN ADDITION TO THE REGISTRATION FEE. We are in the process of identifying a new vendor and will get rates as soon as they are available. Thank you!